Two years ago, Nathan relocated from Nimba County to a suburb of Monrovia to stay with his grandmother. Many rural Liberians send their children to relatives living in Monrovia to allow them to have better access to opportunities. However, for the last four years, Nathan has been unable to continue his schooling. His illiterate grandmother, who had promised Nathan’s parents that she would enroll him in a school, does not generate enough money for school fees. She and Nathan survive by selling herbs, but the funds from those sales are only enough to feed them. Prior to joining Second Chance, he had only completed a Pre-K program. “I used to feel bad because my friends were going to school, but I was not in school,” he says. Since entering the Luminos program, Nathan says he has regained his happiness. He can recite the 26 letters of the alphabet, he knows his numbers, and he can now spell three-letter-words. He now sees his dream of becoming a medical doctor as much more attainable. 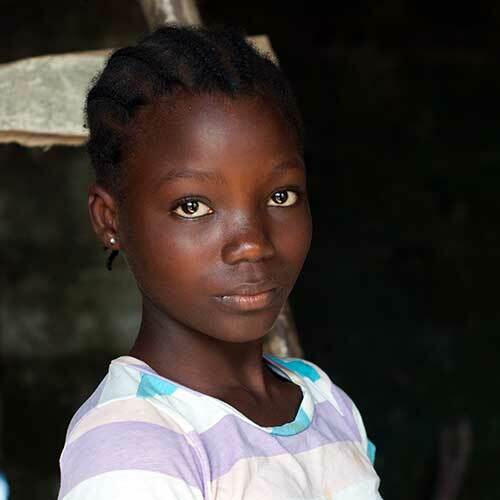 Mechan used to be among the 62% of primary-school-age children in Liberia not attending school. Two years ago, Mechan had to drop out of community school because her parents could no longer afford to pay her school fees. 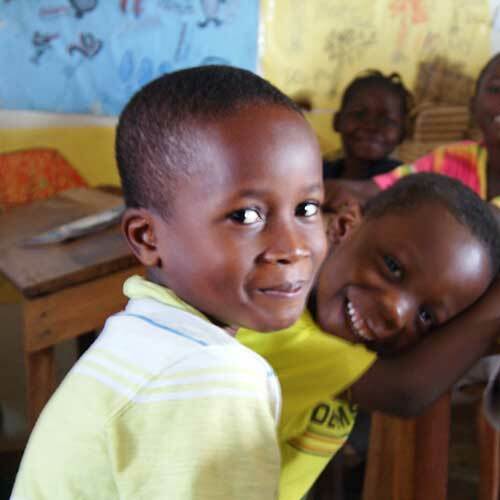 Even though primary education is nominally free in Liberia, because of the limited funding to the education system, public schools still charge families sizeable registration fees. Mechan’s experience of an often-interrupted education has inspired her to become a classroom teacher. “I like being a teacher because I want to teach other children how to read – how to spell and write their names,” she says. Mechan says she appreciates the Luminos program better than her previous school because she enjoys the enthusiastic way her facilitator presents the lessons to the students. Just a few months into the program, Mechan says she now knows how to spell her name and identify letter sounds, skills she never had before. Chris’s family lives in Bomi County, Liberia where they face such extreme poverty that they are unable to enroll him in school. “The only thing we can try to do now is find food for the house… there is no way to send him to school,” his parents say. Prior to joining the Second Chance program, Katumu had never had any formal schooling. In fact, her mother didn’t have enough money to send her or her two siblings to school. Her father lives in Grand Cape Mount County, about 100 km away, farming rice and cassava. He frequently sends the meager proceeds from the farm sales to Katumu’s mother. Even now, Katumu is the only one of her siblings in any educational program. That’s why, since joining the Luminos program a few months ago, Katumu cherishes the opportunity to learn. “Where I live is far, but I walk to come to school every day because I like my teacher.” she says. Katumu’s face lightens up as she talks about the different subjects she’s learning. She recently learned how to spell her name. 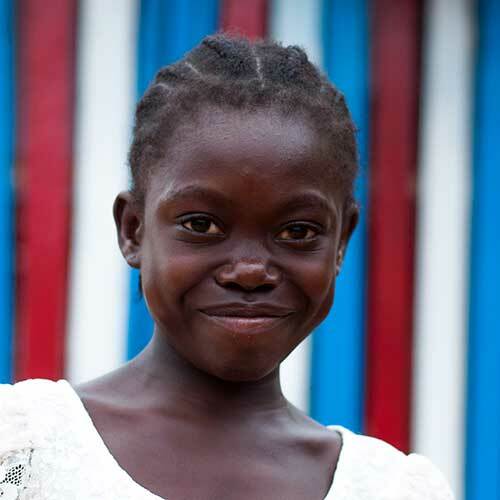 When she grows up, Katumu says she wants to become a medical doctor to cater to families who cannot afford health care. 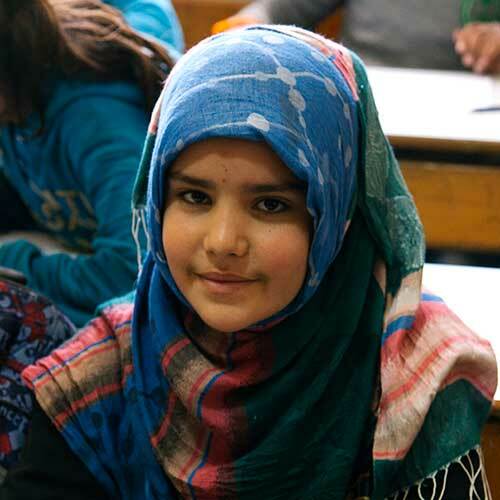 Yasmin moved to Lebanon with her family when she was just six years old. With the ceaseless war in Syria placing a heavy financial strain on their family, Yasmin’s parents made the decision to leave their home in East Idlib in search of a new start. 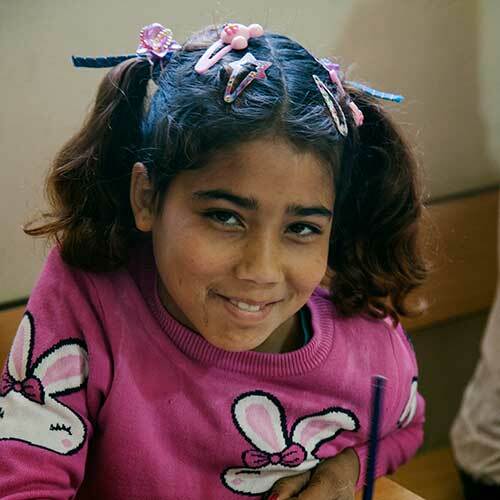 Now ten years old, Yasmin attends the Luminos Basic Literacy and Numeracy (BLN) classes along with her two older sisters. When he first arrived in Lebanon, Ali began to learn English from his neighbor. Now he’s enrolled in a Luminos Back-to-School class. “The teacher is my favorite, Ms. Safiya. 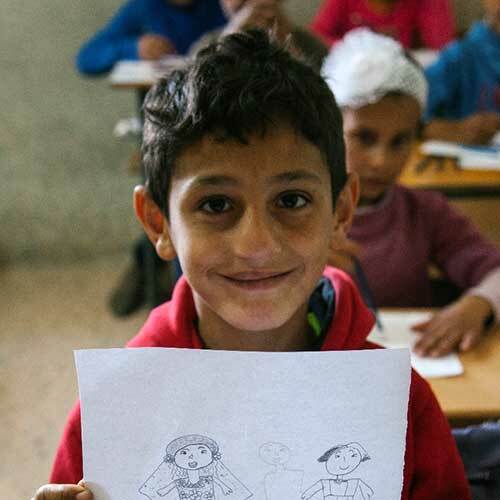 I come to school every day, so I can learn.” Ali likes to draw dresses and wants to become a fashion designer when he grows up. He recently made his first dress and sold it to another girl from the camp for Eid. “We had to get clearance from…I don’t know who exactly…before leaving. There was a man who hit my father and wanted to take our bike away, but then my father showed him that my grandmother could not walk so he had to take her on the bike.” Ali is the eldest of his four siblings and does not remember much about his hometown. He remembers the missiles, though, and how his father carried him when they escaped Syria right after the war broke out. Ali currently attends the Luminos Homework Support program while enrolled in the government’s accelerated learning program. 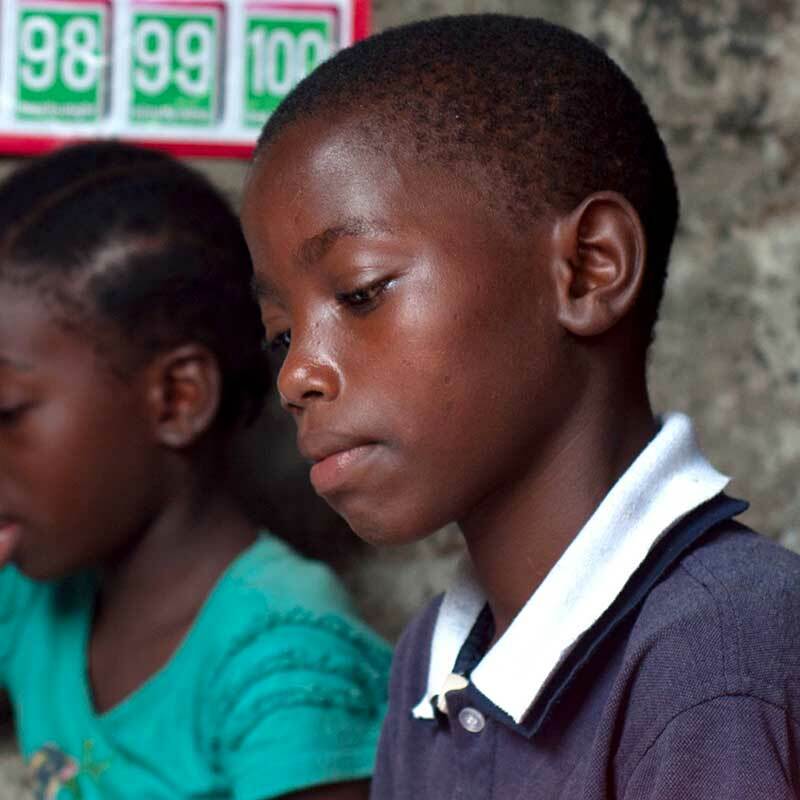 The Luminos class provides academic support to ensure Ali and his peers remain in school and on track to join regular classes. His favorite subject is English, though he enjoys playing math games and working with Luminos teachers on his lessons. 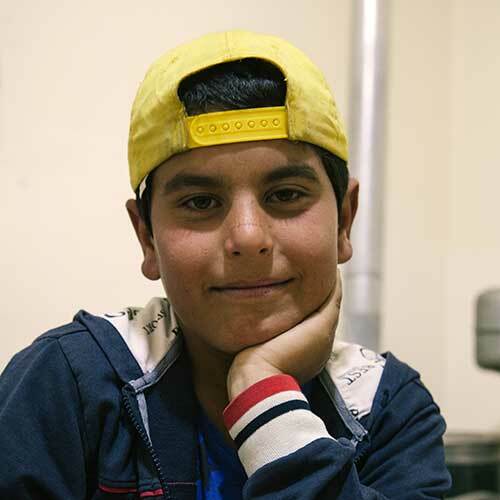 Ali would like to become an agricultural engineer when he is older, like his friend’s father. He wants to make it easier to plant potatoes.